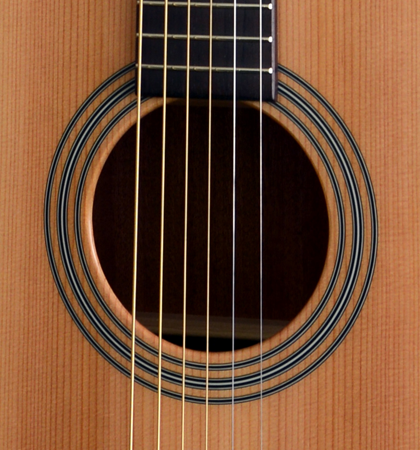 The Stanford Radiotone 49 G is a Grand Auditorium Acoustic Guitar. It is equipped with a solid top of Canadian cedar. Back and sides are veneered with sapele mahogany, which ensures a pleasant woody tone. 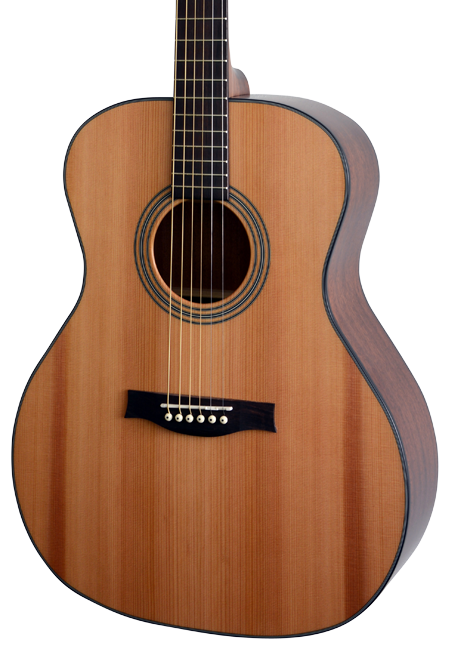 The body shape of this acoustic guitar is suitable for all musicians who are looking for a medium size guitar. In addition, a Grand Auditorium sounds more brilliant than a Dreadnought. 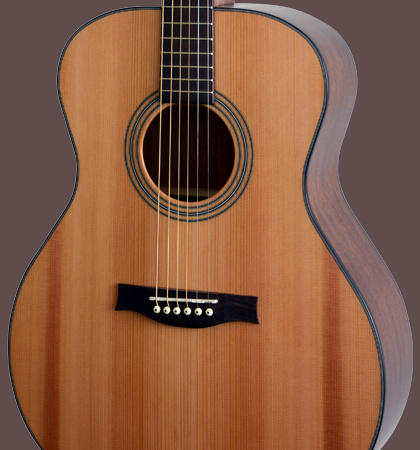 This body shape is perfect for fingerstyle guitarists. However, this instrument is also very good for Guitar Strummings. 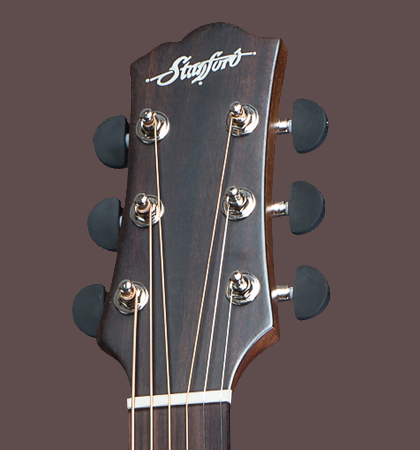 The neck is made ​​of mahogany and the saddle has a width of 45 mm. Fingerboard and bridge are made ​​of rosewood. Nut and saddle are made of bone.